Vok Beverages Group Marketing Manager, Chris Illman, says, “Being associated with a club as prestigious as Liverpool FC is truly an honour. They have a cult following, and we are extremely excited to be part of such an amazing, international event that will unite football lovers from not only around the nation, but around the globe. “This will be Liverpool FC’s second time playing down under, and we are hoping for just as much success in Brisbane and Adelaide as there was in Melbourne in 2013. “This match is not only exciting for football fans, but is fantastic for the economic growth of Queensland and South Australia,” says Mr. Illman. 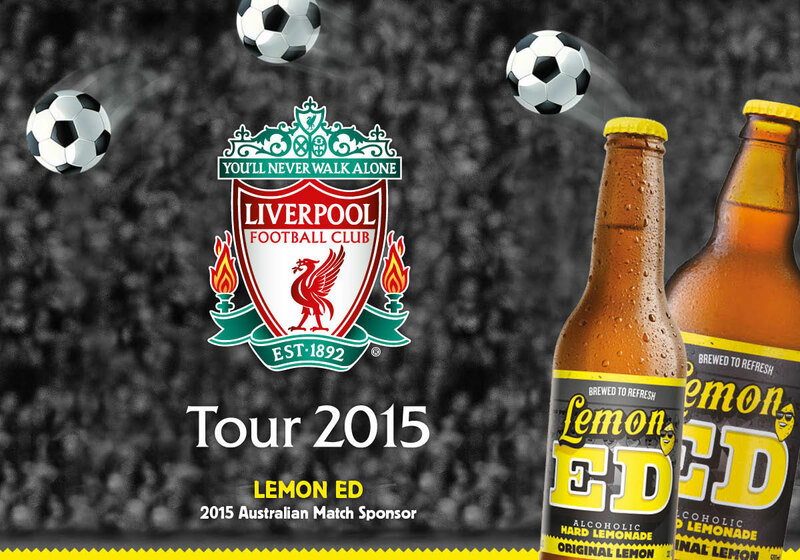 Officially launched in 2014, Lemon Ed is a brewed, hard lemonade that is refreshing, easy to drink and tough to boot. “Lemon Ed is definitely one of a kind; it’s not a cider, nor a beer, but a thirst quenching lemon squash with an alcoholic kick. “Every batch is made from Queensland lemons and is brewed with passion at our Step Road Winery located in Langhorne Creek, South Australia, where our talented winemakers turn it into Australia’s new favourite lemonade for grown- ups. To celebrate the partnership, Lemon Ed is working with key retailers to offer a number of exclusive Liverpool FC competitions, including a once in a lifetime chance to meet a Liverpool Legend,” says Mr. Illman. Lemon Ed’s recommended retail price is affordable at just $8.49 for 500mL, or $20.00 for three 500mL bottles.